In the spirit of what is most definitely Bond season, we have more news from the slick, Brit spy and his creator Ian Fleming. Ian Fleming’s true inspiration for M’s no nonsense secretary Miss Moneypenny has been revealed as society hostess and bright young thing of the 1920s, Loelia Ponsonby. The wife of the 2nd duke of Westminster, Ponsonby was said to be a close friend of the 007 author after meeting just before the 2nd World War. The link between the two was made public after correspondence between the pair came to light. 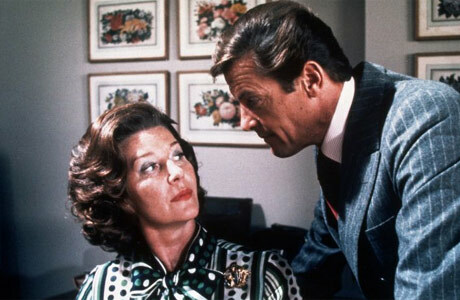 It was the impersonal, flirtatious manner of the letters, which mirrored the exchanges between Bond and Miss Moneypenny. In the original novels he gave the Duchess’ name to the secertary before changing it to Miss Moneypenny in On Her Majesty’s Service. This all occurred long before the celebrated film franchise kicked off. The letters, which are to be auctioned at Christies in London, contain playful exchanges such as, ‘shall I come and wake you with a kiss’ and ‘I shall sleep outside (I said outside) your door and live on Luft and Liebe (air and love)’. Although the letters may suggest otherwise it is thought the two never actaully had a relationship, much like Bond and Moneypenny. The collection of letters go under the hammer at Christies on 13 November. Visit the site here. The British Library is set to release a CD filled with rare recordings of some of the 20th century’s greatest writers. The disc will feature both English and American writers as they read and speak openly about their work. This will be the first time that many of their voices will be herd since the recordings where made. Dubbed ‘The Spoken Word: British Writers and American Writers’ contains some extremely rare audio material including the only surviving recording of Virginia Wolf as well as the only recording ever made of Arthur Conan Doyle who used the opportunity to explain the importance of spiritualism. Also recorded are F. Scott Fitzgerald reciting Othello and a drunk Raymond Chandler in conversation with Ian Fleming. Richard Fairman of the library’s sound archive described the collection of audio tracks as a real treasure trove, This couldn’t be truer with the inclusion of thought provoking recordings of Joe Orton which were made weeks before he was murdered by his lover Kenneth Halliwell. Despite the British Library’s extensive archives there are still some influential authors missing. Richard Fairman has made a plea for anyone with sound recordings of DH Lawrence, John Goldsworthy and George Orwell to get in contact. To read up on the previous British Library release of ‘Spoken Word: Graham Greene’ follow this link.